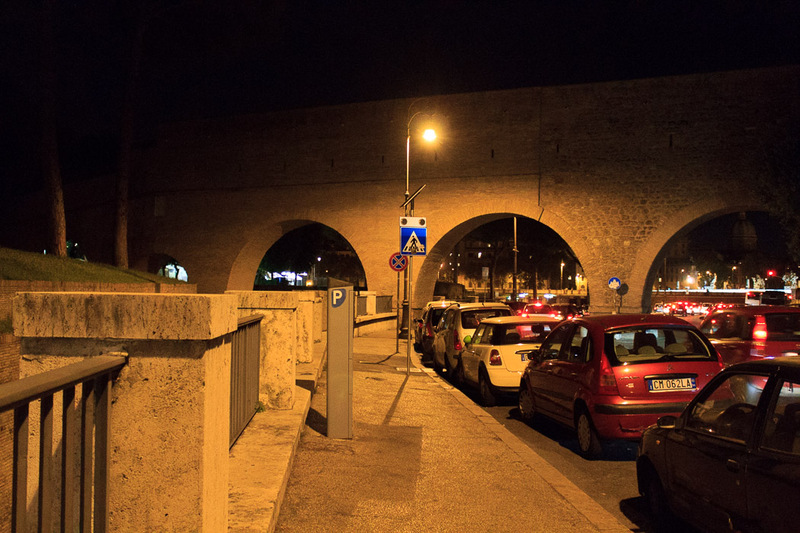 The Passetto di Borgo is an elevated 1/2-mile-long passageway that links the Vatican with Castel Sant'Angelo built in 1277 to serve as an escape route for a Pope in danger. 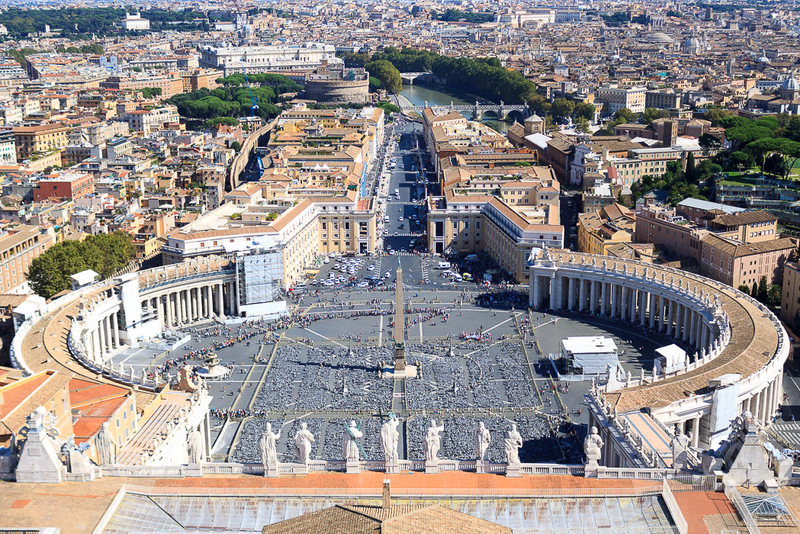 In the 1st photo below, taken from the top of St. Peter's Basilica, it is the curved brown strip running out to Castel Sant'Angelo, behind the buildings on the left side of the road in the upper third of the photo. 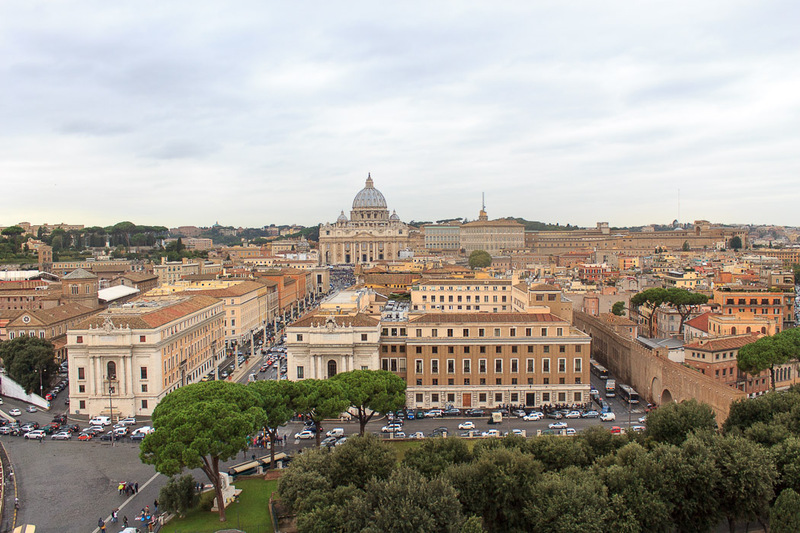 In the 2nd image below, taken from Castel Sant'Angelo, it's the walkway on top of the brown wall near the right edge. The 3rd and 4th images below show the Passetto at ground level. Pope Alexander VI used it in 1494 when Charles VIII invaded the city. 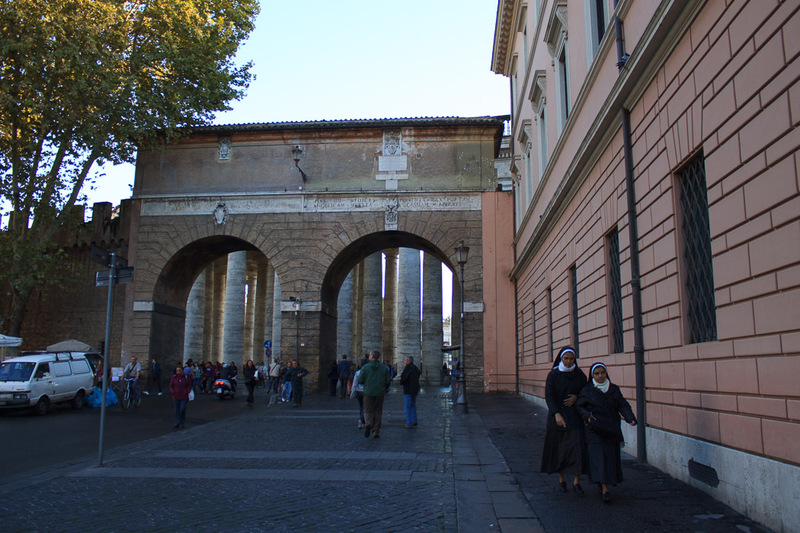 Clement VII escaped to safety through this walkway during the Sack of Rome in 1527 when troops of the Holy Roman Emperor, Charles V, massacred almost the entire Swiss Guard on the steps of St. Peter's Basilica. The Passetto played a key role in Dan Brown's novel Angel and Demons. See all Passetto di Borgo photos.